Some would consider the Nike Kobe 6 to be Kobe Bryant’s best signature shoe to-date. Two of the more popular colorways from Black Mamba’s six shoe was the “Grinch” and “Helicopter” iterations. 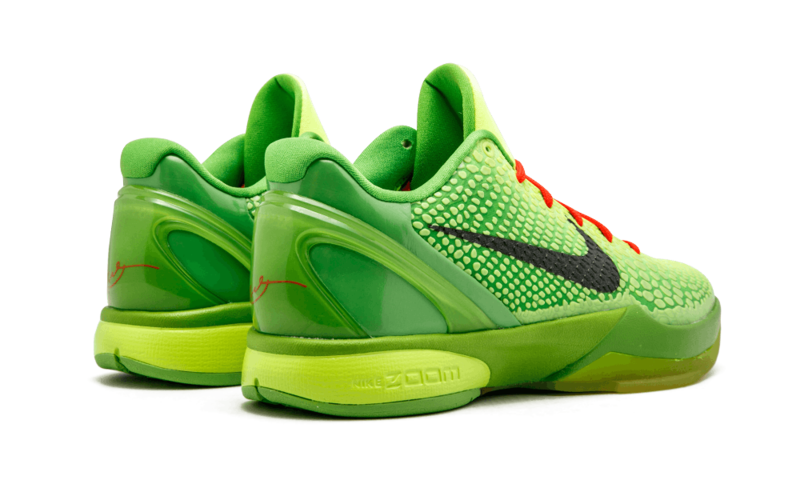 For Christmas 2010, Kobe Bryant’s Kobe 6 received an awesome “Grinch” look. Featuring a combination of Volt and Green Apple throughout its upper, the shoe also included Crimson tongue tags and Black Nike Swoosh logos. A few months later, Nike dropped the “Helicopter” Kobe 6 to electrify the courts with another eye-catching colorway. Dressed in a Bluegrass, Dark Grey, and Vibrant Yellow color tones, this release was complimented with Kobe’s signature John Hancock on the back heels. It’s definitely a hard choice to pick one or the other, but if you had to choose, which is the better Nike Kobe 6? Cast your vote below and leave your reasoning on why in the comments section.